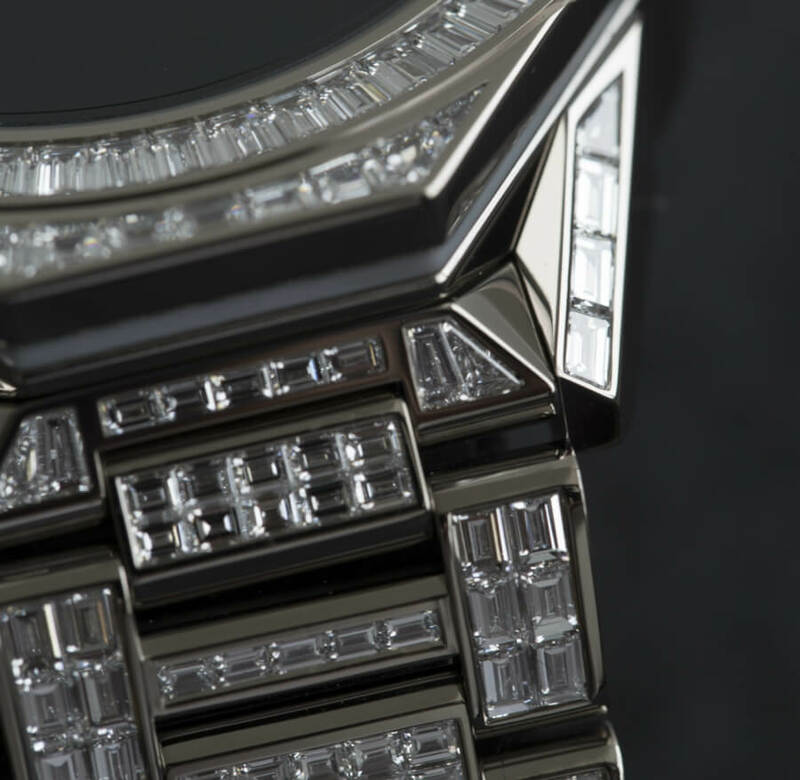 For the price of 190’000 CHF, this TAG Heuer Connected Modular is made of white gold and paved with baguette diamonds, totalling 23.35 carats! 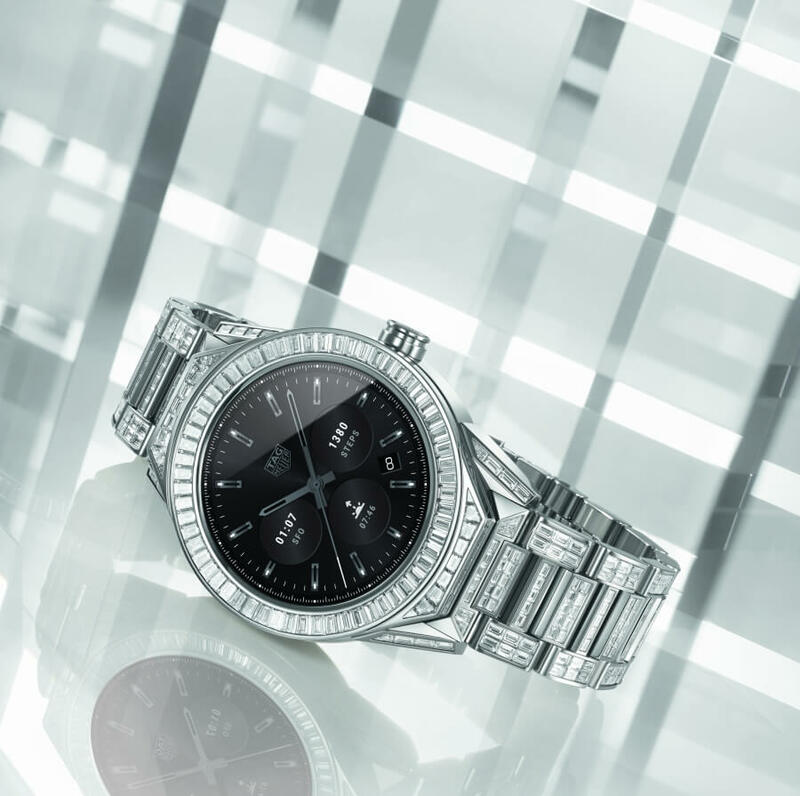 Developed in collaboration with Intel and GoogleTM, the TAG Heuer Connected Modular 45 Full Diamond has all the elegance, features and finishes of a fine wristwatch. 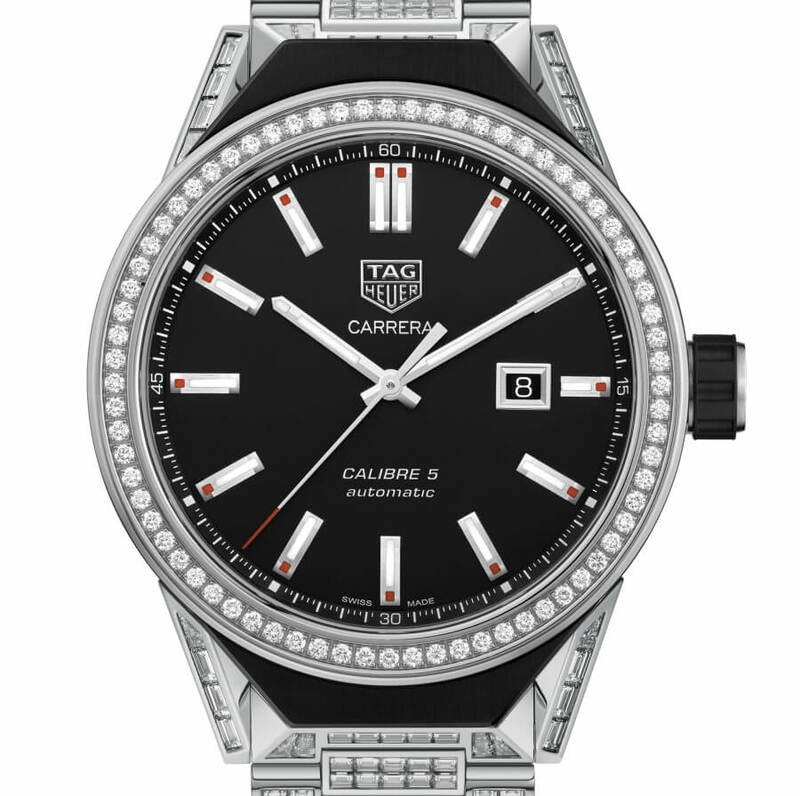 This Swiss Made luxury watch incorporates the 150 years of expertise, knowledge and heritage behind TAG Heuer, a watch manufacture established in La Chaux-de-Fonds, the cradle of Swiss watchmaking. Remember that this watch represents an original concept, never before seen in the world of connected watches: the connected module is interchangeable with an Haute Horlogerie mechanical module — a 3-hand watch Calibre 5, Chronograph Calibre 16 or COSC-certified Chronograph Tourbillon. The modular concept also applies to the lugs and the bracelet. 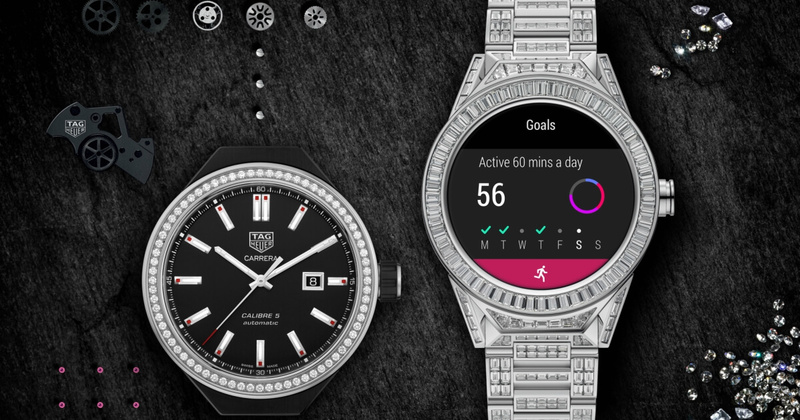 It is water resistant to 50 metres and features GPS, an NFC sensor for payment, a superb, very high definition AMOLED screen and numerous infinitely customisable TAG Heuer dials, with Google Wear 2.0 and a new Companion App to enhance the software experience.